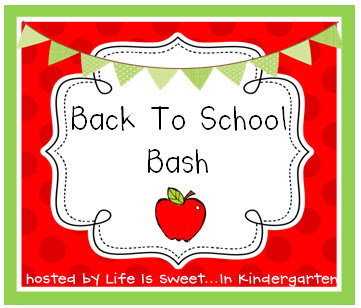 Rachelle over at Life is Sweet....In Kindergarten is hosting a HUGE giveaway! Lots of goodies to start your year off from some A.M.A.Z.I.N.G. teachers. It's definitely going to be worth that click! I am so happy to see you back. Let me know how you are doing! I am so excited that you are selling your things on TpT! Yeah! Have a wonderful year with your class!